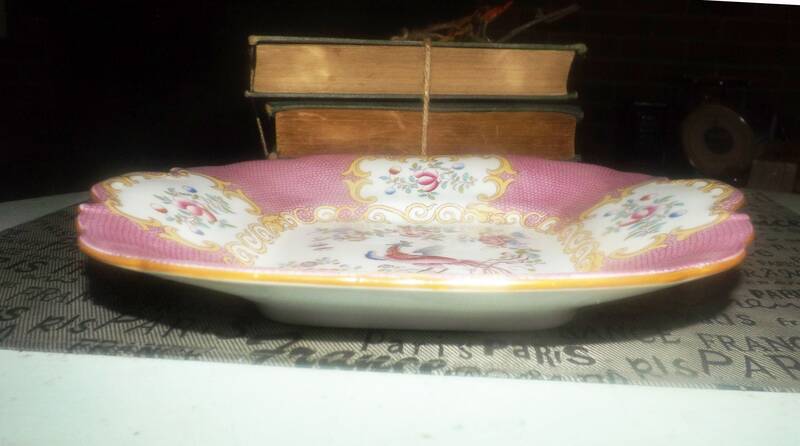 Antique (late 1800s) and extremely rare! 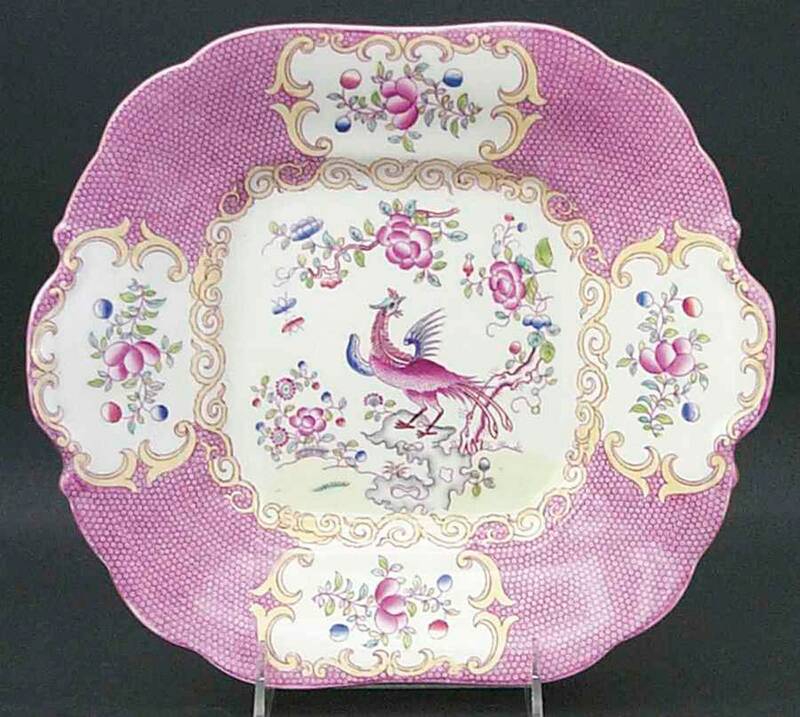 Mintons Pink Cockatrice square handled | lugged cake, cookie or pastry serving plate. Signed and numbered to reverse 4843 T. and attributed to Thomas Allen. 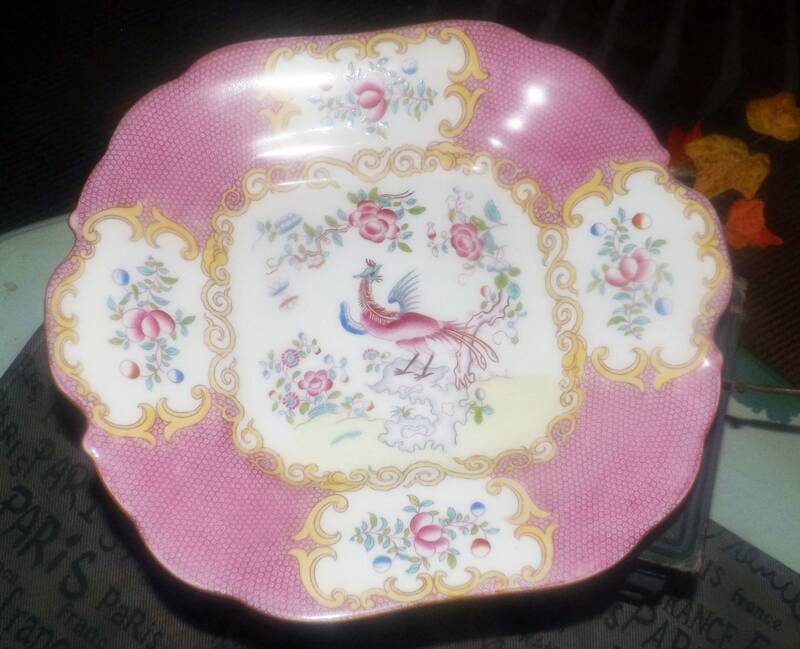 Plate has a bird of paradise in center surrounded by art-nouveau florals and mustard scrolls with a scalloped, mustard edge. 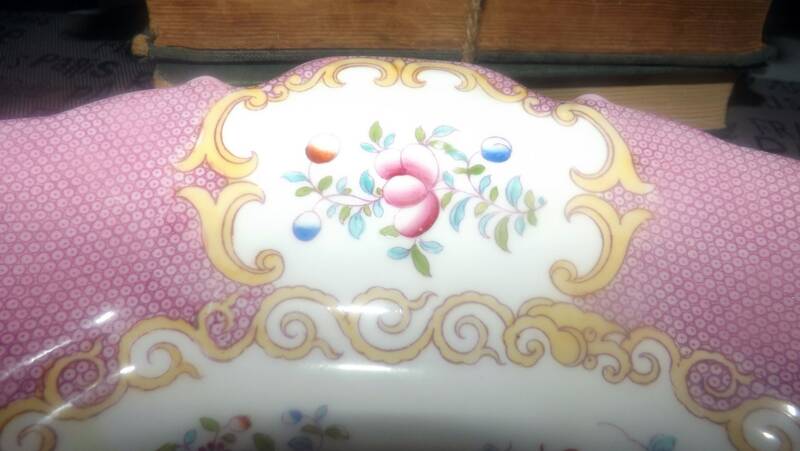 In immaculate antique condition with NO! chips, nicks, cracks or fleabites, NO! crazing and NO! marks, stains, scratches or other signs of use or wear. 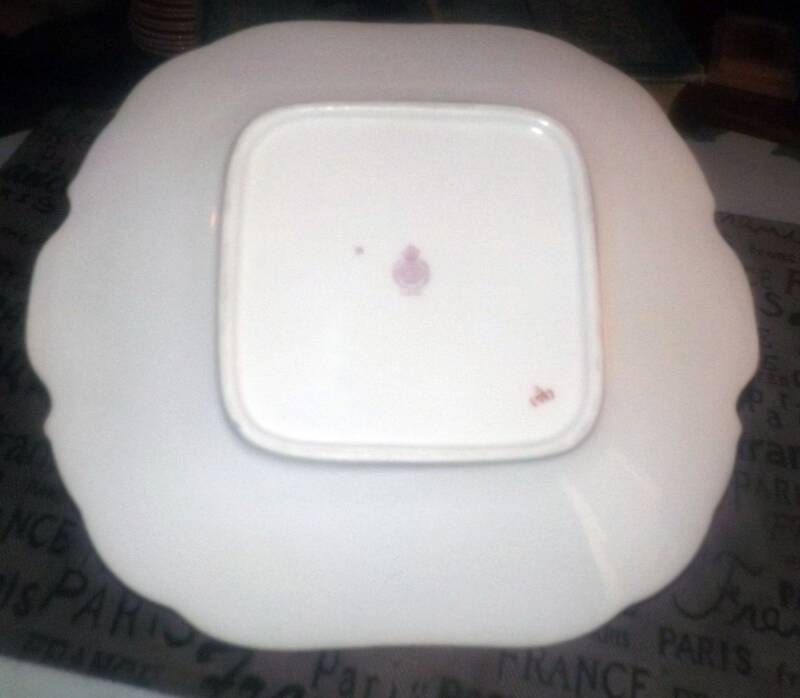 Plate appears to have likely never been used, but rather on display for decades. Beautiful! 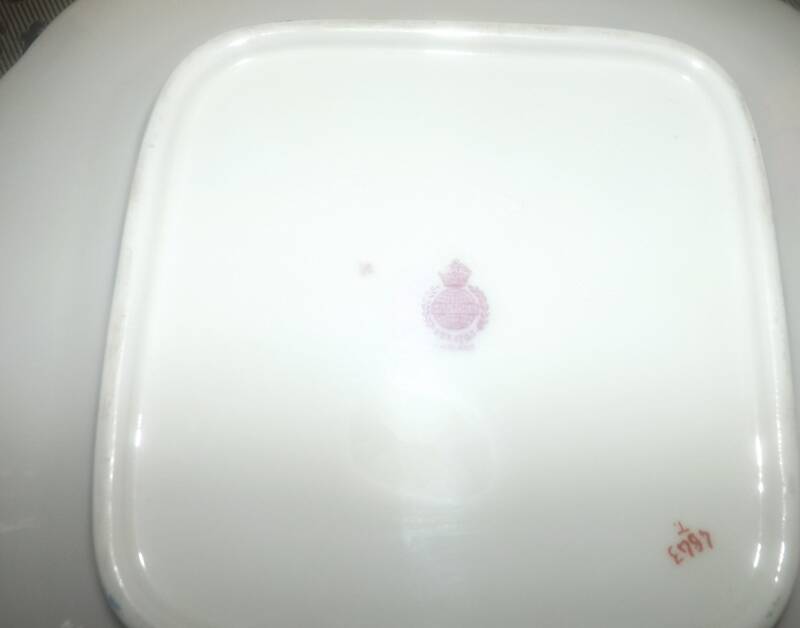 Bears the impressed ENGLAND and star mark as well as the Red Mintons stamped mark of the period, artist's initial T. and number 4843 to reverse. 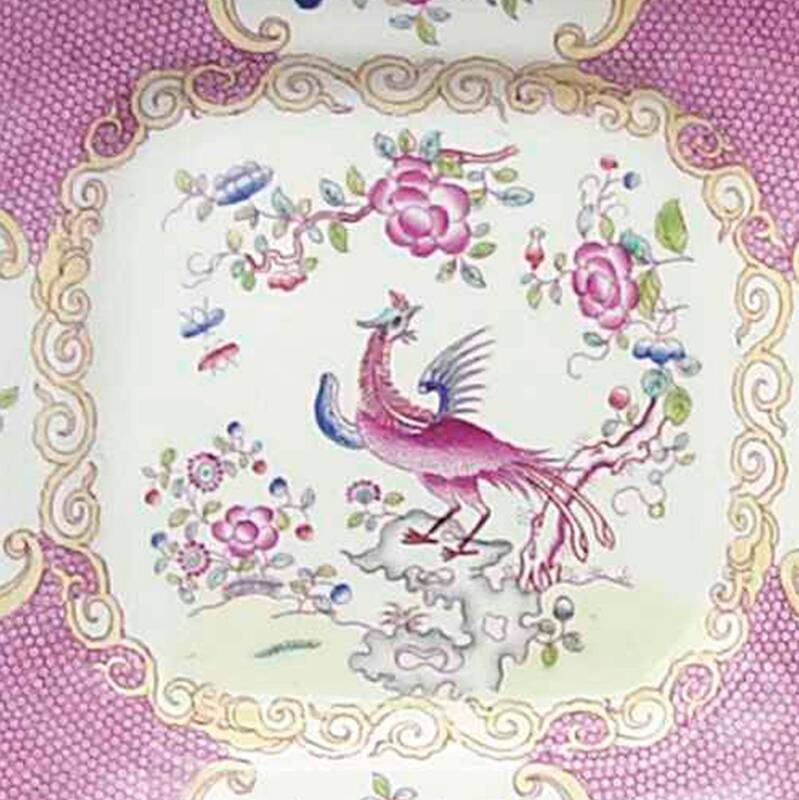 Pink Cockatrice is one of Groovy's own personal favorite Minton patterns! Approximate measurements: 10-1/8" in diameter (measured handle to handle) with a coupe shape and slight pedestal | foot.